Two weekends ago I turned 31! I am officially in my 30s. What?! 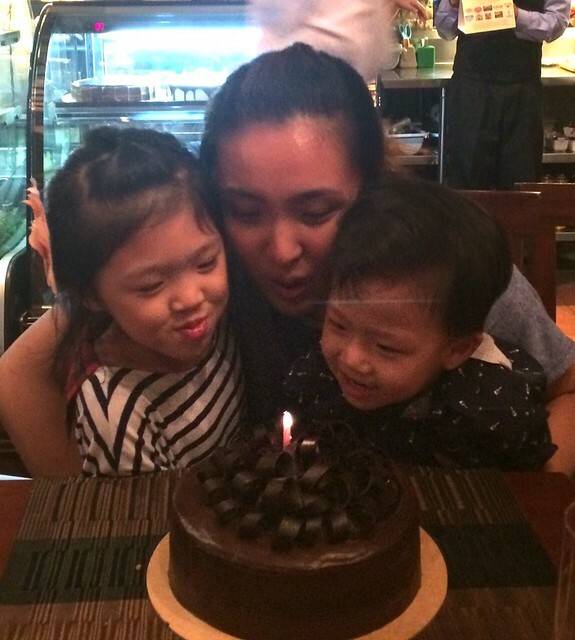 Every year I always feel this way during my birthday, a tinge of disbelief yet grateful. A year older and definitely wiser (or so I think). Heehee! BOS surprised me with a bouquet of Ecuadorian roses which really surprised me kasi it's been years and years since he gave me flowers for my birthday. Plus pogi points! Naks! 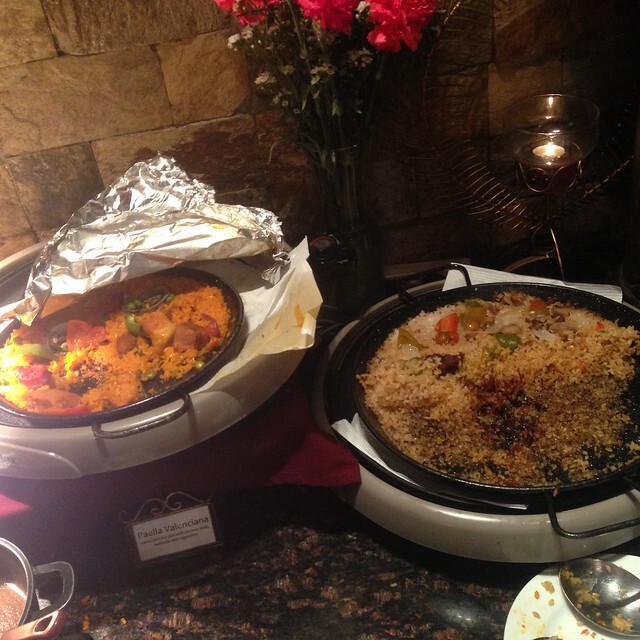 I like celebrating birthdays good food! Who doesn't right? 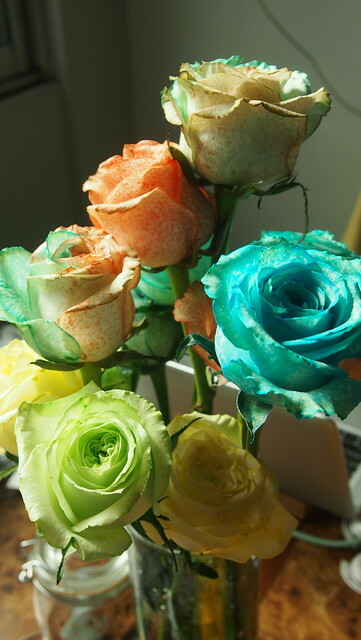 Ecuadorian roses on the morning of my birthday, which BOS and Y DIYed using food coloring! 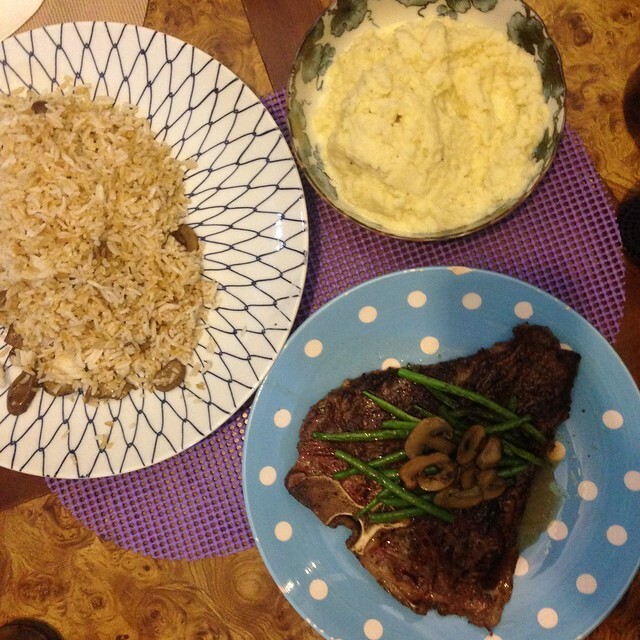 On the eve of my birthday, I cooked steak which BOS bought last Valentine's pa at Kitayama Meat Shop, cauliflower mash and mushroom fried rice. On my birthday morning, cooked breakfast/brunch for the whole family! 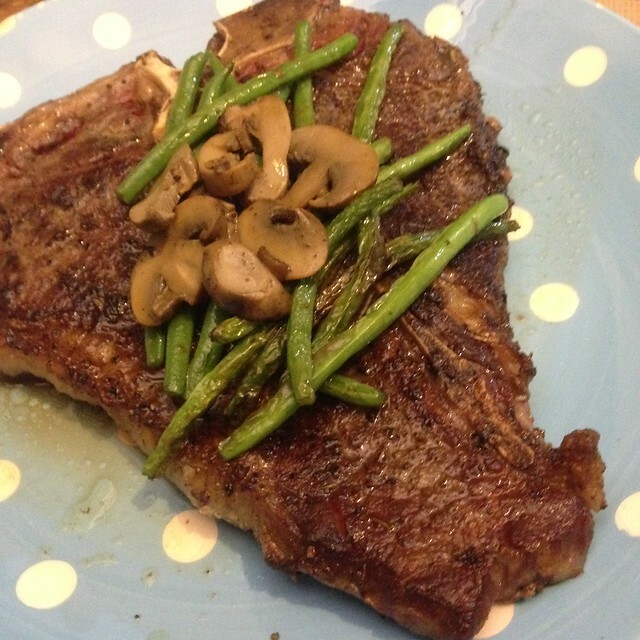 I rarely cook a lot for breakfast so this was a treat for them and for me haha! 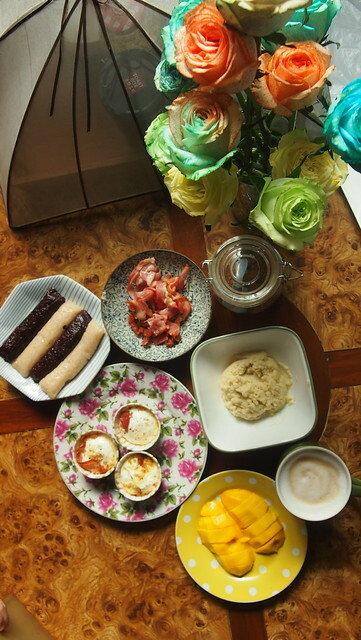 Clockwise: Crescent Moon's Suman, bacon, cauliflower mash, coffee, mangoes, and egg and bacon cups! 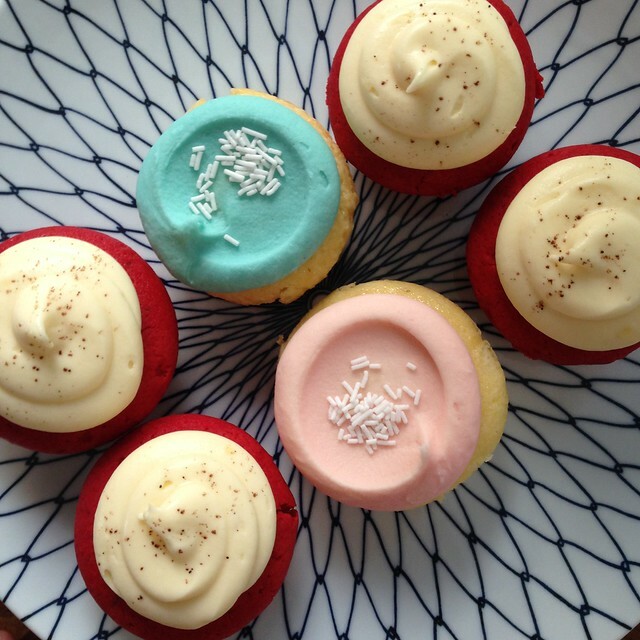 And my only request was Red Vixen cupcakes from Sonja's! I was supposed to get all Red Vixens but I know Y wants the Vanilla Sunshine kaya ayan, one with pink frosting for her and blue frosting for R.
Days before my birthday, my sister and I were discussing where to eat for my birthday dinner. We didn't want Chinese because well, we always eat at Chinese restaurants. 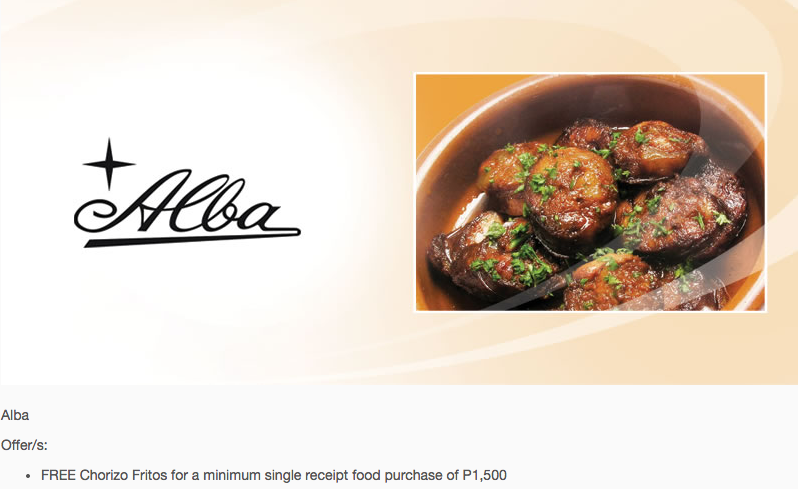 For a change, we had Spanish buffet at Alba's in Tomas Morato. 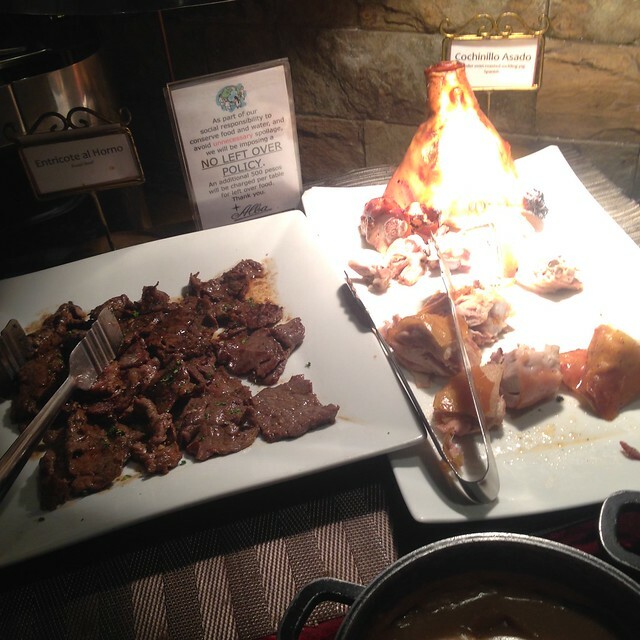 Roast Beef and Cochinillo Asado! I ate lots of these! Heehee! 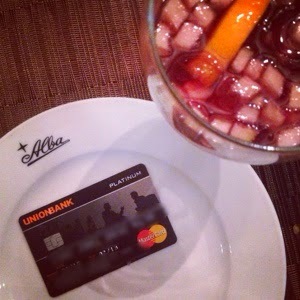 Used my brand new spanking Unionbank Cashback Mastercard to pay the bill! 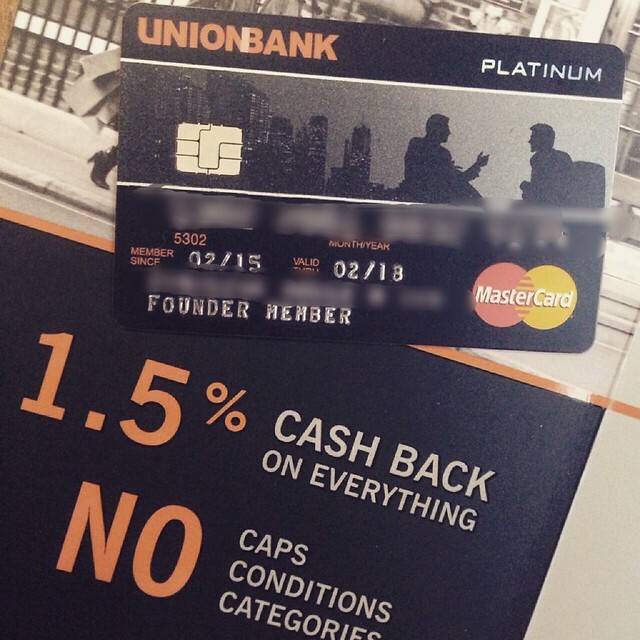 I get a 1.5% cashback every time I use my card! 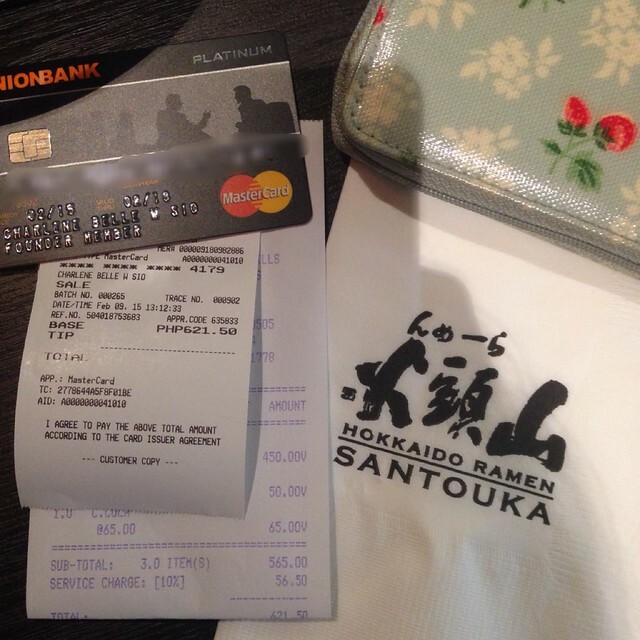 This is my first time to have a credit card that has a cash back feature! With Unionbank, there's no caps, no conditions or categories. You earn a cash back with EVERYTHING, EVERYWHERE and the cash back you earn DOES NOT EXPIRE! So simple, right?! Just perfect for busy moms like me who don't have the time to sit down and compute everything! Capped the night off with sangria. I had three glasses heehee! 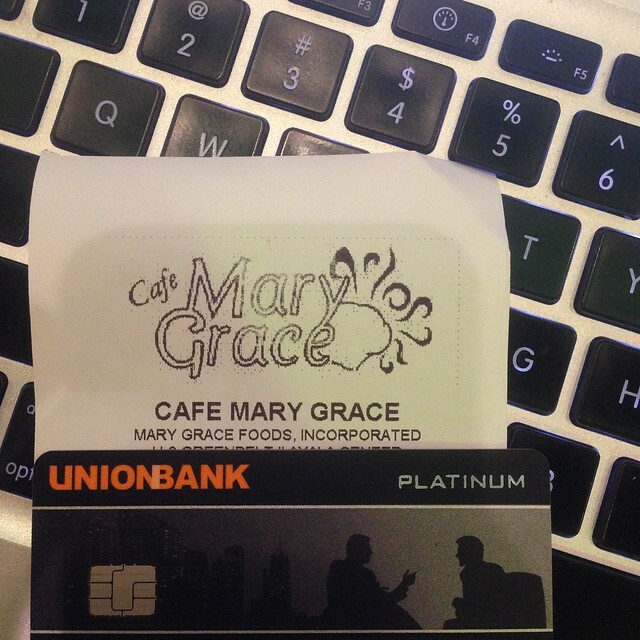 And when you use your Unionbank Cashback MasterCard, you get a FREE Chorizo Fritos! But I only found out about this after our dinner. Haha! I've used it mostly for food, what else? Haha! I've also used it to buy groceries, for gassing up, for online purchases and for whatever for our out of town trips this coming summer! If you're going abroad, the UnionBank MasterCard is accepted at over 30 million establishments and ATMs worldwide! Quiet morning at my favorite "tambayan" while waiting for Y. Lunch dates with Y during Fridays before her RSGK class. It's the only I've been using for the last month! 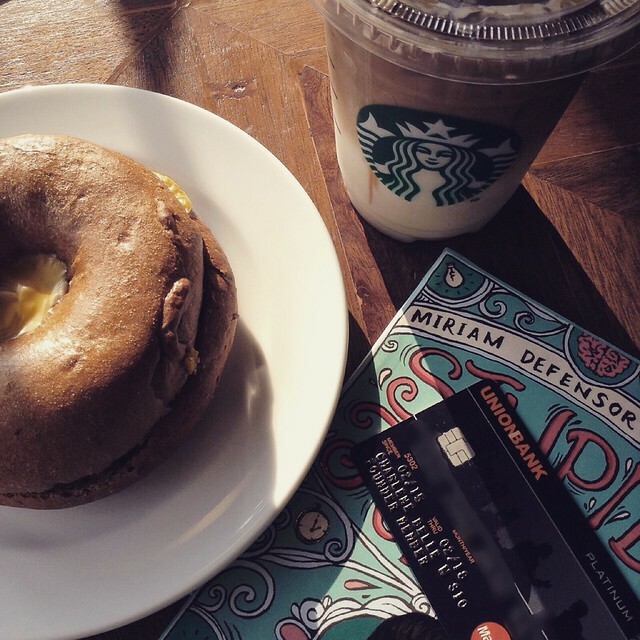 It's time to simplify your life with Unionbank Cashback Mastercard! And who's better to convince you, but the one and only OCMom, Kris De Guzman. Watch this! Galing ng convincing powers ni OCMom, noh? And the SoMoms also guested on Tita K's podcast, Live Love Lolz, to share their shopping experiences with the Unionbank Cashback MasterCard! Watch the episode below! 2. Download application form and fax it to (02) 636-6256.